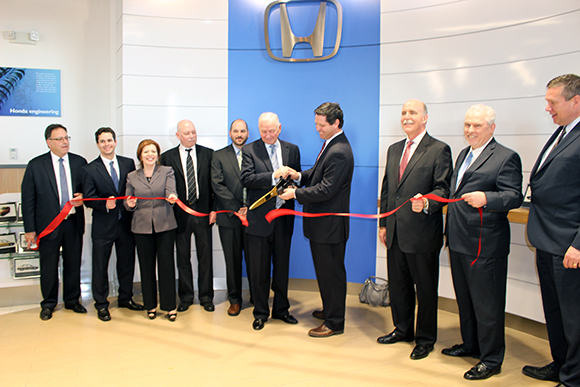 The Ralph Honda Team would like to thank those who were able to make our Grand Opening Ribbon Cutting Ceremony. We had an amazing turnout! Here are a couple of photos from our Grand Opening Month – Memorial Day Cookout Festivities. 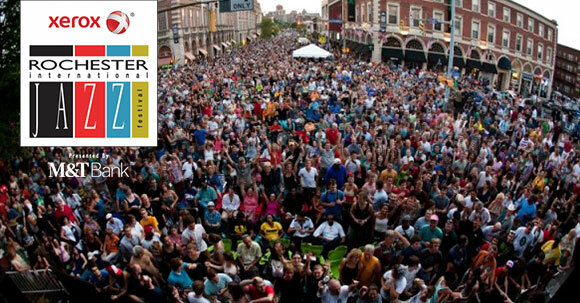 Thank you to all who came and helped make our Grand Opening Month celebrations so special! The completely redesigned, all-new 2018 Honda Odyssey arrives at Honda dealerships nationwide tomorrow with a Manufacturer’s Suggested Retail Price (MSRP)1 starting at $29,990. The Odyssey has been the best-selling minivan in America for the past seven years and is leading again in 20172. This fifth-generation Odyssey continues its evolution to meet the needs of changing American families, raising the bar for performance, cabin quietness, family-friendly interior space, comfort and connectivity in the minivan segment. “Racing at Heart,” a new brand campaign linking Honda’s incredibly diverse, high-performance motorsports program to production vehicles including the new Civic Type R, arriving in dealerships late spring, makes its television debut today: https://youtu.be/VTFcoh2kj5I. The new spot, also titled “Racing at Heart,” highlights Honda racing programs including the Verizon IndyCar Series, Red Bull Global Rallycross and desert truck racing – demonstrating how the brand’s deep roots in competition inspire the engineering of the Honda vehicles available to its customers. “Racing at Heart” leads a new Honda brand marketing campaign, with the racing-focused spot starring the Civic Type R, Civic Si and Ridgeline, along with the race cars that inspired such production vehicles. The campaign delivers the message that – from the racetrack to the road – racing is at the heart of every Honda vehicle, starting with its engine. The campaign debuts during the NBA Conference Finals on ABC, and will be showcased during the ABC broadcast of the 2017 Indianapolis 500 on May 28, as well as during ‘500’ qualifying on May 20-21, while also featuring additional broadcast, print, digital and social amplifications. The multi-channel “Racing at Heart” campaign will include broadcast television, with the spot airing multiple times on NBC, ABC and ESPN sports programming, including during the NHL Conference Finals, Stanley Cup Finals, NBA Conference Finals (first airing 5/16) and NBA Finals, during Red Bull Global Rallycross race competition, as well as on networks targeting performance-minded viewers such as Comedy Central, Spike TV, FX, among others. From a digital standpoint, www.racewithhonda.com is being overhauled and will serve as the destination hub of the racing campaign. Honda also is launching a motorsports influencer campaign, taking Honda’s long-running “Fastest Seat in Sports” campaign, the long-standing experience that gives a celebrity the chance to go on a two-seat ride leading the start of a Verizon IndyCar Series race with legendary Indy 500 champion driver Mario Andretti – to the next level. Eight different influencers from a variety of backgrounds – from base jumping adrenaline junkies to science buffs like Tory Belleci from “Myth Busters” – will discover their inner racer at heart by helping start an IndyCar Series race riding behind legendary Indy 500 champion driver Mario Andretti in the Honda IndyCar two-seater. For more information on Honda and Honda Racing, visit: www.racewithhonda.com. I come from optics manufacturing where I worked fabricating optics mainly for the military. Unfortunately due to a company layoff I found myself out of a job. After much soul searching, I decided to look for a career in Sales. I never thought about sales before, but I love it! It is good to know the harder I work, the more I can provide for my family. 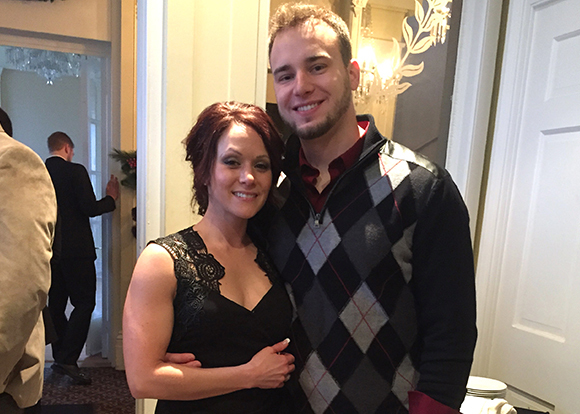 I have been married for 1 year to an incredible woman named Kelly who was very supportive in my career change. I also have a wonderful stepson Jesse. During my free time, we like to go for bike rides and work out together. I have a 4 year old godson, Xander that I watch on a regular basis. I also enjoy reading and home renovation projects. We love God and enjoy a lot of time with both of our families. I am blessed with a wonderful family and a great opportunity in Sales here at Ralph Honda. Here’s a little something for our fathers showing our appreciation. 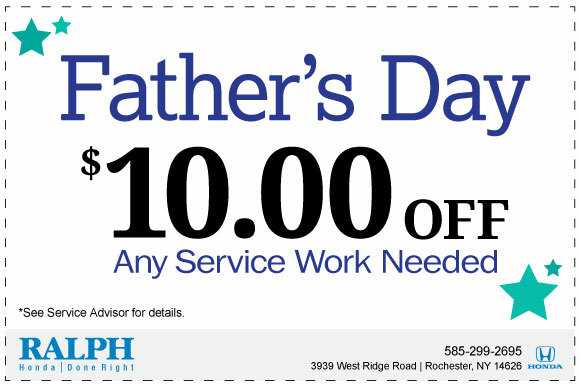 Just mention this coupon at your time of service to receive $10.00 OFF any service work needed!